Children love creativity and as a parent, you should do all that you can to encourage them to think outside the box. Their creativity comes out best with colors. The best way to help encourage their creativity is by letting them color their favorite cartoon or animal pages. This exercise will not only keep them occupied, it will also serve as an educational tool. Will help him develop and strengthen his finger and wrist muscles. Will improve his hand-eye coordination, as the exercise will require him to color within a designated area on the page. Will increase his aptitude to remain focused on a given task. This is the perfect picture to start things off with. 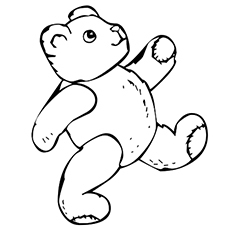 By coloring this cute bear, your child will learn to color within the specified area. He will be introduced to a new animal. This is a great picture if your child is fascinated with bears in motion. Will teach your child to color pictures of animals in motion. Will help build better hand-eye coordination. Will teach your child to remain focused on the exercise. The picture shows the bear’s face with a lovely hat. This is a great picture if your child is just learning how to use a crayon to color shapes and animals. Your child will learn to color additional objects that form part of one picture. This is a great picture as it relates to a child owing to the house setting. 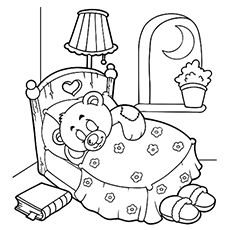 Your child can now relate to the picture as it depicts a bear sleeping in a bed. It will also teach him or her to color a number of objects at once – bear, bed, bed sheet, lamp, pot, book, shoes, moon, etc. 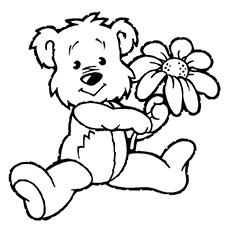 This picture shows cute bear with a beautiful flower. It will help your child focus on other objects like flowers. Your kid will get engaged in coloring this picture while you take care of other chores. This picture will teach your kid about the bear’s off spring – A cub. Your child will learn that a baby bear is called a ‘cub’. 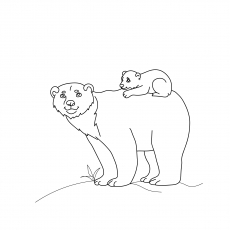 After coloring, you can show a video of a bear and her cub bonding. This picture will help your child associate the alphabet with various pictures. 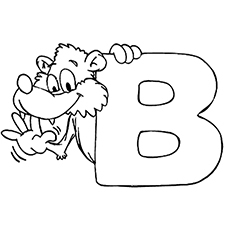 Your child will learn to associate the alphabet ‘B’ with Bear. You can help him or her revise the other letters too. This picture is perfect to teach your kid about the various other types of bears. It shows two cute bears bonding. 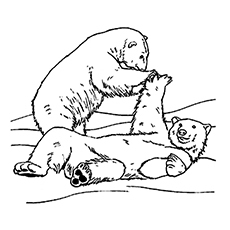 Apart from the normal bears, your kid will learn about polar bears and what makes them special. It is suitable if your child is above the age of three. This picture is perfect for your child to learn about the eating habits of bears while coloring. 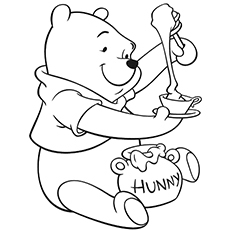 Your kid will learn that bears eat honey. 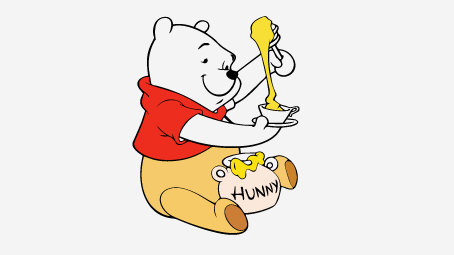 Your child will also learn that honey comes from bees. This picture will make coloring an enjoyable exercise. It shows two huge bears. The image will help your child handle complex coloring owing to bigger shapes. Your kid will learn that even bears play around. 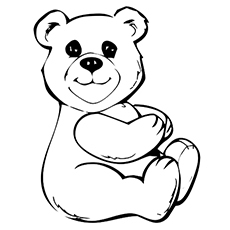 These free printable bear coloring pages online are a great educational tool if your kid is between the ages of 3-7 years. 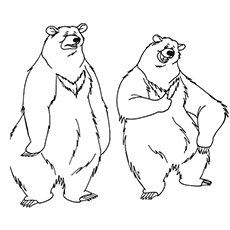 We would also like to know if your kids enjoyed coloring these bear coloring sheets. You can also create your own bear coloring book. Share your views by commenting below.